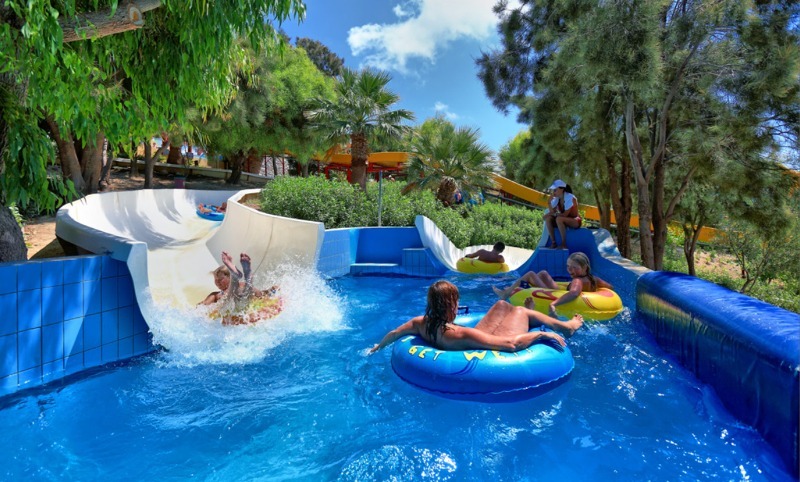 AQUA PARK WATERCITY – statusmlb – Travel in Crete! The staff speaks: English, German, Russian, French. Luggage storage if desired 2 euros. From 09:00 to 18:00 (depends pick up location). Yes, very much and fun! Hat, sun cream protection, bathing suit. Yes, especially recommended for children. 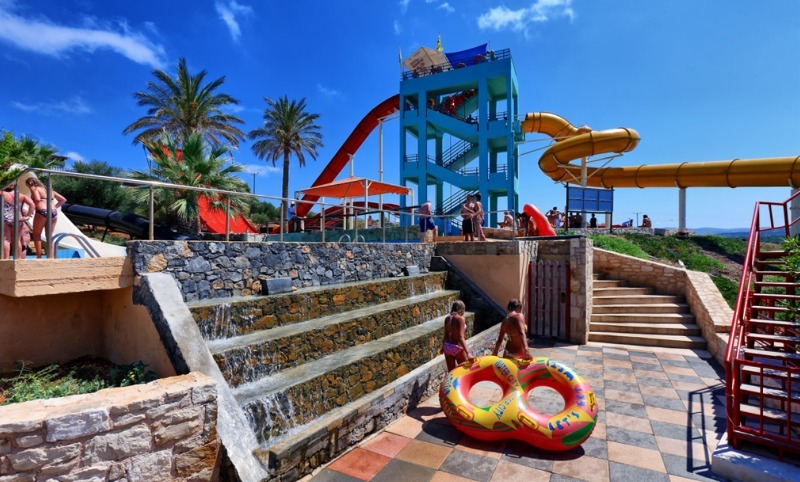 The water park WATER CITY is located in the north-central part of the island of Crete near the city of Heraklion. 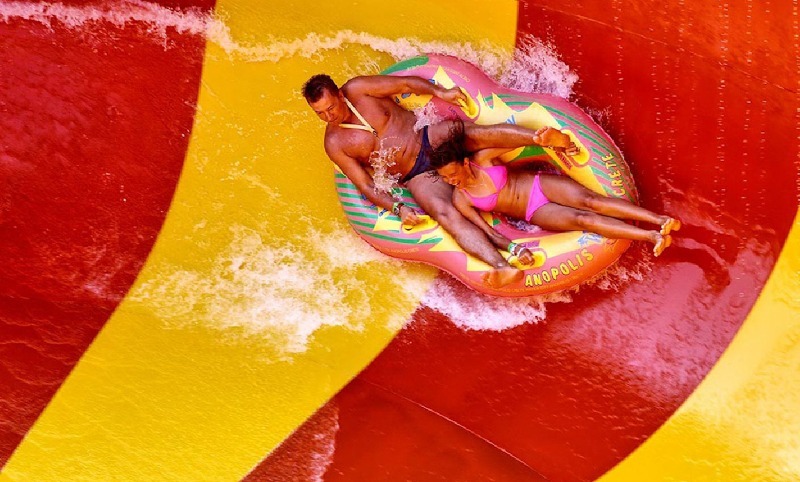 A great opportunity to literally plunge into all the attractions of one of the largest water parks in Crete. 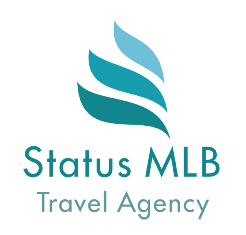 A lot of attractions for children and adults, a variety of swimming pools, cozy restaurants and bars will make you forget about time. It will be fun here. And everyone will find their favorite entertainment, which will be remembered for a long time after returning home. 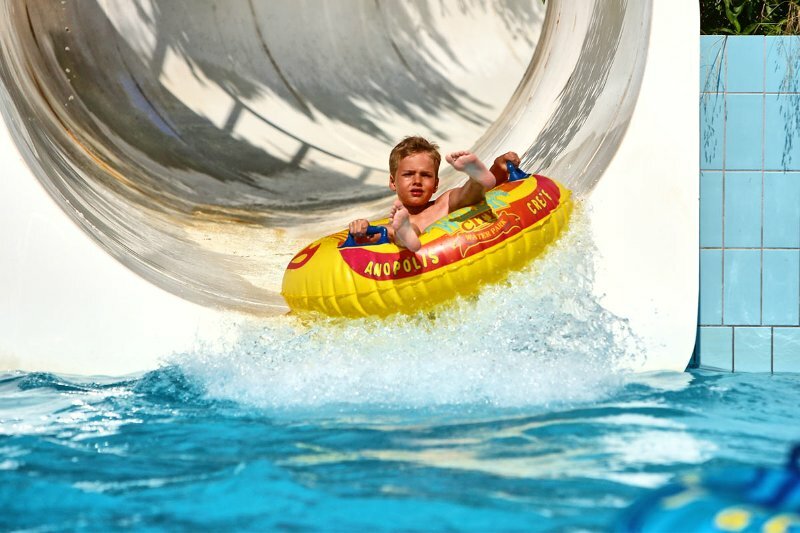 The territory of the water park is well equipped not only with numerous attractions, for visitors are provided changing cabins and showers, toilets, a first aid point and security service, a lost and found office, a shopping center. 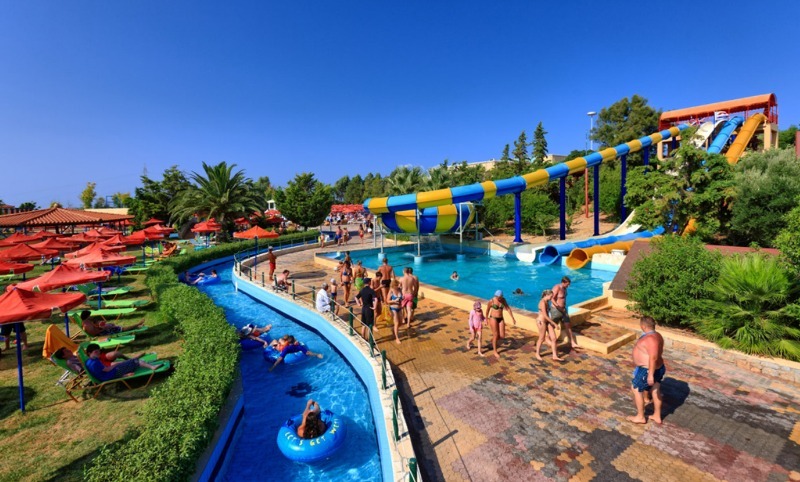 At guests' disposal there are umbrellas and sunbed on the territory of the water park. The water park also offers free parking in the adjacent car park.